My name is Carlos Miller and I am a writer, reporter and photojournalist who was arrested by Miami police after taking photos of them against their wishes, which was a clear violation of my First Amendment rights. I have pleaded not guilty to the nine misdemeanor charges they conjured to justify their arrest. My trial begins May 7th. Click here to read more. Today, Bush spoke live on national television about his meeting with EU officials where trade was the focus. I watched the speech. Now, I want my President to do well, especially when speaking in public, but the man is as much an orator as Hitler was a pacifist. When referring to the EU, he, I guess, thought both EU and Europe and instead said “Eew”. He didn’t stop to correct himself. He probably figured it didn’t matter. Anyhow, John Stewart, David Letterman, Bill Maher, John Leno, or all of them already had someone on their staff jotting down this latest verbal fumble. Bush went on to summarize his discussion with the EU officials, which he described as “constructive” and “interesting”. He mentioned the topics that were addressed and somewhere between Darfur and Iranian nuclear ambitions, he mentioned Cuba. “We talked about Cuba”, he said. I figured he was referring to Guantanamo but no. 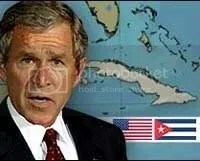 He said that Cuba could only be free and democratic. In other words, when Castro dies, the U.S. is not going to accept anything but democracy. His tone was serious almost ominous. Mind you, he said this right along with the most pressing matters of our time: the wars in Afghanistan and Iraq, Iran’s plans for nukes, and the civil war in Sudan. Is Cuba’s democratization that important? Apparently it is. Miami stands front row center for whatever may transpire as Fidel Castro nears death and the political currents change. It is interesting to see that neighborhood associations sometimes approach developers to arrange payoffs to silence Nimby concerns. It works vice versa as well. I was oblivious to this type of behavior. Here I thought Nimby’s were standing for their “not in my backyard” principles, but I guess even that, in some cases, has its price. Now there is a movement to get neighborhood associations and developers to disclose such deals. 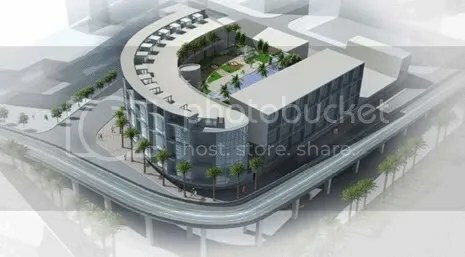 South Beach’s 5th street flyover is studied by the FDOT in order to best determine what future course of action to take with the overpass in relation to the proposed plans for the voter-approved Baylink. This is encouraging news since not much has been said about the Baylink in recent months. The City of Miami Beach initially opposed the Baylink proposition. The 5th street/Alton Rd. flyover currently runs through Boymelgreen’s Vitri project parcel and the proposed 5th and Alton big box project to the east. Last year, Zyscovich put forth plans for rezoning the 270 acre Omni District. This area today, is being referred to as the Media and Entertainment District. The new zoning incorporates mixed income developments and enhanced streetscapes. This area, as I have mentioned here before, represents the frontier of Miami’s construction boom. It has the most vacant land, the lowest acquisition costs, and now the zoning is ideal for fostering further densification and vertical development. With this plan, Zyscovich’s firm is playing an historic role in shaping the area’s future. Currently, the area is seeing plans that include Pedro Martin’s massive City Square development, Argent’s 6 tower 15 year Omni project, Cardinal’s Symphony, the AOC Tower, the Chelsea, MAX tower, Bayview market, Filling Lofts, among others and there are several high profile parcels for sale. All of these combined with the Performing Arts Center and the impressive development in South Edgewater (Quantum, Opera tower, 1800 Club, Portico, on the Park, Cite, and Paramount Bay) make the M&E vicinity the most exciting to analyze. The area might, in the future, represent Miami’s urban core. As it is, the area is a blank canvas, but developers, architects, and investors have long been making plans to fill it in. There will also be 36 new rail cars added to the mix. 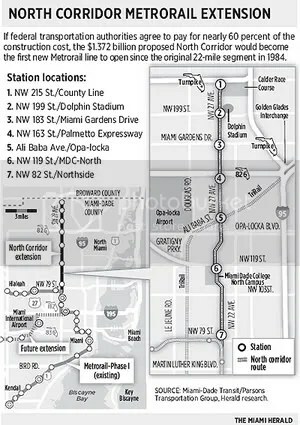 Although this does not solve the lack of rail transit access for the West Dade, it indicates a historic step forward for the Metrorail nevertheless. Existing East/West railroad tracks and plans for the Intermodal Center present a tantalizing future for westward expansion of the Metrorail, but plans remain largely stalled. 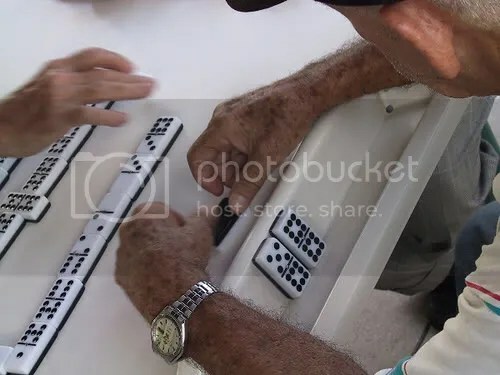 As Miami’s urban core continues to rapidly evolve, daily, before our eyes, connecting everyone to it, is vital. This development is the latest step forward in pushing Miami’s world class agenda. Mold can become a huge health and financial problem for condominiums—particularly self contained single structures (towers). 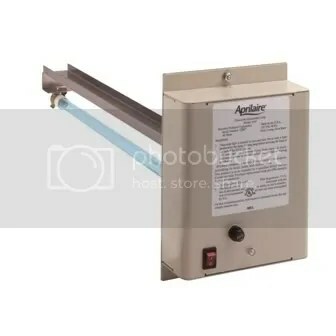 The air coils in the air handlers, which bring in air from the outside, will often breed mold spores and bring in bacteria from the outside air. The humid coils are ideal for the growth and spread of the spores and bacteria. From the air handler they travel throughout the building. Mold is not necessarily a problem for old buildings. The relatively new Akoya Condo on Miami Beach has already had to address mold issues that entailed, in some areas, up to 2 million mold spores per square inch (according to Puroair). Dealing with mold can become extremely expensive for condominium associations. Drywall and ceiling tiles have to be removed; remaining surfaces have to be treated with Clorox and re-painted. There are chemicals designed to kill the mold that are so toxic that inhaling its fumes for prolonged periods will leave you sick. The smell is so nauseating that no one in their right mind would stick around to become sick. Buildings have to be unoccupied for the duration of the treatment. Mold infestation is simply to difficult and costly to contain and prevent. Given the high level of humidity of South Florida, a permanent solution seems a distant prospect. There may, however, be a solution: Germicidal lamps. Developed 60 years ago in a Duke University lab, these lamps were first intended to purify the air of hospitals. The lamps are so powerful that any bacteria, virus, and other microbes exposed to it disintegrate—DNA and all. If looked at long enough, they can burn the thin membrane over one’s cornea. 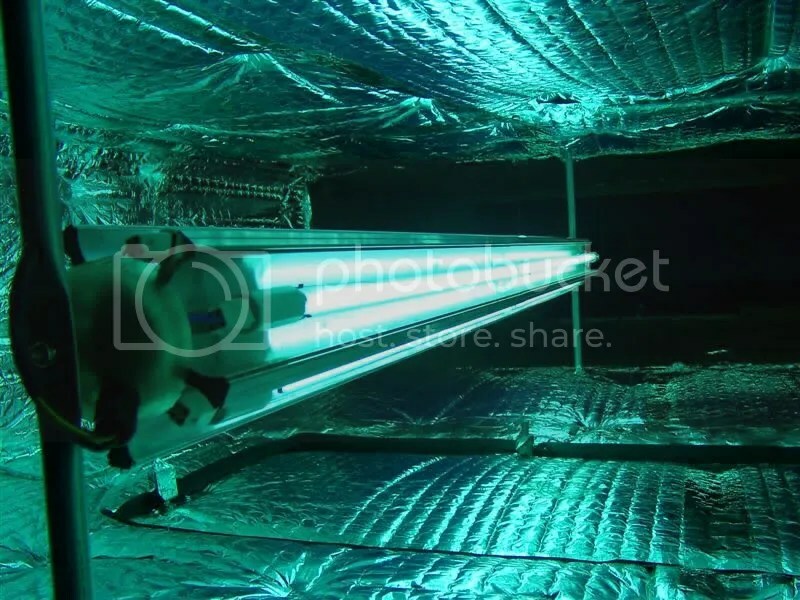 However, these powerful lamps can be installed in air handlers to purify the source of mold infestation. More and more condominiums, including the Akoya, are resorting to installing germicidal lamps in their air handlers. Doing so basically eliminates any possibility of mold infestation. Additionally, it purifies the air of the community thus reducing the chances of spreading sickness through the air system. Each lamp can range from $500 to over $2000. Still, compared to the considerable health risks associated with mold and the high cost of dealing with it, the expense is worth considering. The turn of the 19th century presented a unique new city to the American landscape. Miami, already pushing to become what it would later be known throughout the world for, a destination of uninhibited fun, excessive luxury, and plenty of sun, was beginning to register on the American radar. Flagler’s Royal Palm Hotel was the southernmost luxury resort in the country. His railroad tracks brought northerners to the tip of the peninsula. The Royal Palm represented the culmination of his Florida hotel activities. Henry Flagler had single-handedly created Florida’s luxury hotel market. The reverberations of his actions were to be felt in perpetuity. The wealthy, ambitious, and daring streamed into Florida. One of them was a New Jersey entrepreneur named John Collins who ended up buying a thin barrier island that would later be know as the “Billion Dollar Sandbar”: Miami Beach. He did so for fruit production purposes. It can be said that the Miami Beach Botanical Gardens is a slice of John’s vision for the barrier island. His horticultural plans however failed, and he was convinced by his family to sell plots of his slender island to tourists. However, to make the land sellable he had to connect it to the mainland. 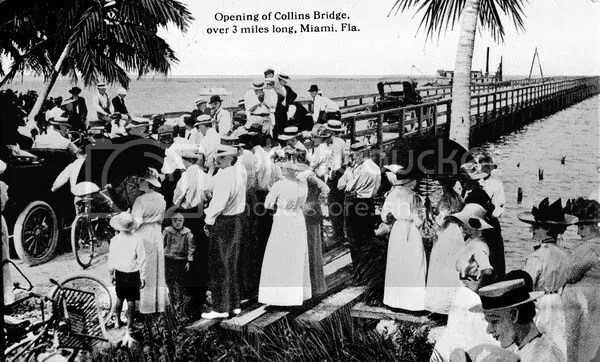 John endeavored to build the first bridge across Biscayne Bay. His limited capital would only get him halfway across, but it was enough to convince Carl Fisher, a self-made millionaire and founder of the Indianapolis Speedway, to finish the job. Rich entrepreneurs were not the only ones influencing Miami’s emerging identity. By the early 1900’s, Bahamians had long since formed Miami’s first immigrant community. Most of the workers Flagler had hired to build the railroad and his hotel were by then the basis for Miami’s black community. Many of them settled along the railroad tracks they had built. Interstate 95 was built over the old tracks—as a result, many of Miami’s black neighborhoods are present along the I-95 today. Miami was gradually evolving but it remained a rather small unimpressive town. A traveler along Bayshore Drive might still have to worry about stumbling into a Florida Panther, but Julia Tuttle, Henry Flagler, John Collins, and Carl Fisher had already laid the foundation of the small town’s growth—it would later become so drastic and sudden that it would lead to Miami being called the Magic City. During this same time in NYC the Statute of Liberty had already graced the skyline for almost three decades. The statute had come to represent the beacon of hope that NYC was for hundreds of thousands of immigrants. 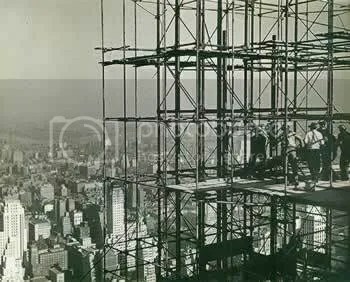 By 1900, the Big Apple had seen its first steel frame skyscraper. The Flatiron majestically towered 285 feet above the city streets. It must have stirred the imagination of those who witnessed it. The Brooklyn Bridge loomed over the New York City skyline. Even before a fruit farmer had decided to spend his savings on a simple bridge linking Miami Beach to the mainland, the Brooklyn Bridge spanned 5,989 feet in length and had Gothic towers that stood 276 feet above the waterline. The Big Apple’s urban sprawl had consumed all of Manhattan Island and densely spilled over into the Bronx up to Yonkers, North Brooklyn, West Queens, Staten Island, and all along the Jersey coast immediately adjacent to NYC. During the day, New York City was engulfed in an ethereal haze due to the countless chimneys, factories and steamboats in and around the city. The suburbs had already spread to what would be its modern boundaries in all 5 boroughs. NYC had exploded in building densification and was racked with turmoil, violence, and corruption. The mafia had already formed. Immigrant and local gangs clashed on the streets. Rival police departments fought with each other. Every week, thousands more immigrants spilled into the unstable streets. The Yankees were filling up their ballpark. The Brooklyn Dodgers electrified crowds. There was already a Chinatown. The city was abuzz with the energy and ambition that is derived from immigrant influx. Central Park, the Statute of Liberty, the Brooklyn Bridge, and the Flatiron were signs of the progress that was to come. New Yorkers did not fail to recognize this. 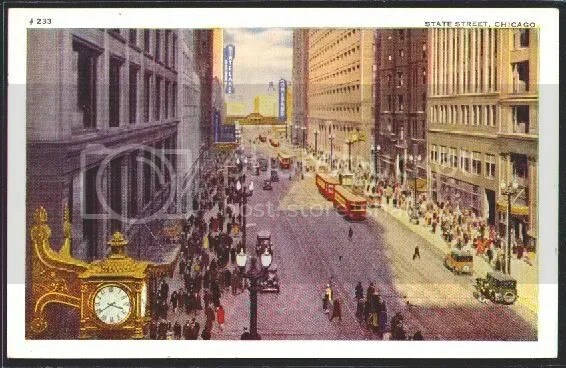 Chicago, the great Midwestern boomtown, was already a phenomenal story. By the first decade of the twentieth century the city had recovered from the Great Fire of 1871 that destroyed around 17,450 buildings to give rise to the country’s first skyscraper in 1885: The Home Insurance Building at 138 feet tall. Chicago was a symbol of resilience, recovery, and progress for the entire nation. Miami had not even incorporated and the Windy City had already stood as a pillar in urban America. In 1900, the city’s central business district was connected to the rest of the city by at least 12 bridges across the south branch of the Chicago River alone. The Chicago River was crammed with ships. Dozens of trains ran parallel to the city and Lake Michigan daily. The city had nine general newspaper circulations. The Cubs and White Sox were competing in a cross-town World Series. Chicago was strategically located, serving as a gateway to the American Midwest and West via the Saint Lawrence River, Lake Michigan, and the Illinois canal. It was a national railroad hub and its tracks spread far and wide in all directions. 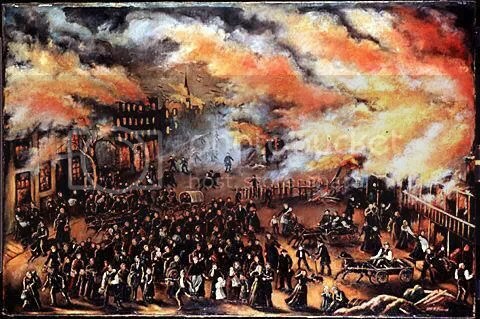 The city was loud, bustling, and had triumphed over severe tribulation. 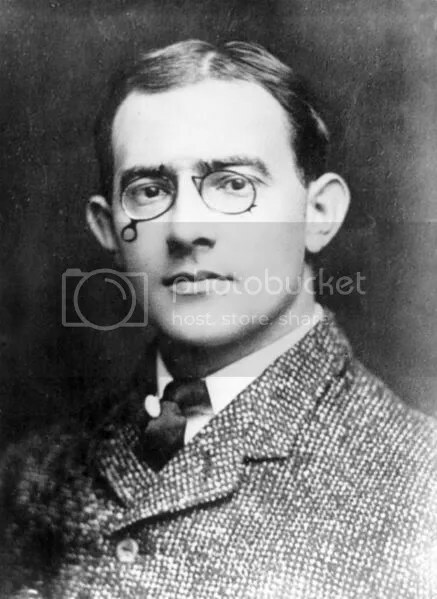 Meanwhile, Carl Fisher envisioned what he wanted Miami Beach to become. Jews and blacks were not part of his vision. Both he and John Collins wanted to keep them out of the island. They included provisions in their land sale contracts that restricted any future sale of properties to non-Caucasians. The Lummus brothers, owners of land in the southern part of the island, were non-discriminating. They sold their land to Jews. Miami’s highly influential Jewish community began on Lummus owned land. At the same time, farther inland from the coast, a former New York pastor and his family were replacing their plans for a citrus plantation to that of a planned city: the Merrick family. Their patron Salomon Merrick and his sons envisioned a Spanish Mediterranean style community with a grand hotel rivaling the Royal Palm and the city’s first university: The Biltmore Hotel and the University of Miami. The city would be named Coral Gables. The Merricks profited an estimated $20 million the first five years alone. Miami suddenly began to appeal all sorts of developers and entrepreneurs. 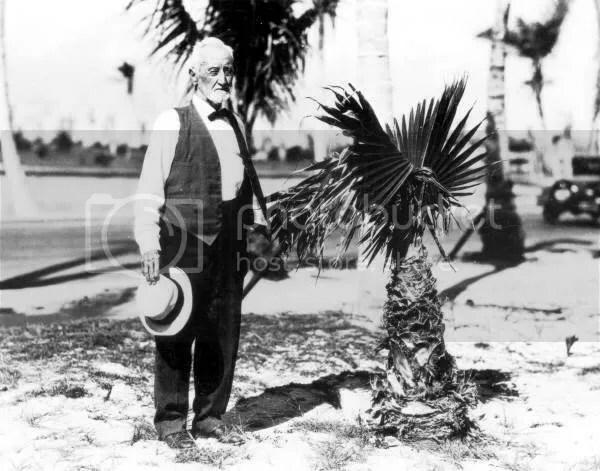 Glenn Curtiss had bought the land that would later become Miami Springs, Hialeah, and Opa-Locka. His developments on the land would set the foundation for the first westward push of urban sprawl Miami had ever seen. Outside of Coral Gables, these were to become the city’s first suburbs. Miami was on the midst of its first building boom. 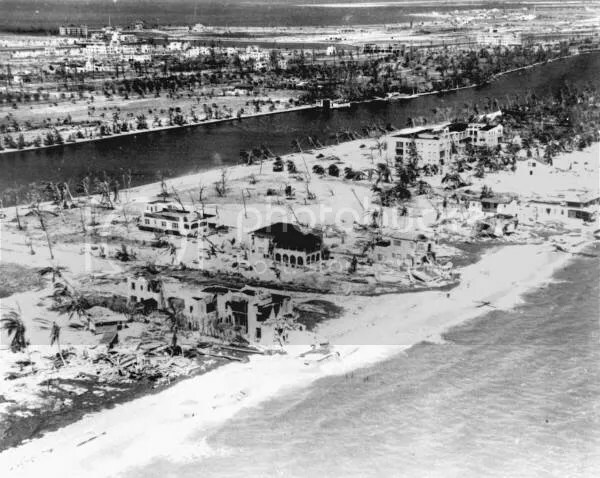 It abruptly ended with the Great Hurricane of 1926, which would decimate the city and leave between 25,000 and 50,000 people homeless (nearly half the entire population). To make matters worse, the Great Depression would hit Florida soon after. This crippled the economy and caused the city’s first bust. Ironically, just after the hurricane and on through the Great Depression, Miami Beach saw dozens of Art Deco buildings get constructed. The Art Deco surge would last until just after World War II. 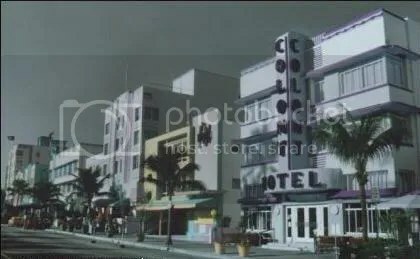 It would later comprise the largest concentration of Art Deco buildings in the world, become the back bone of South Beach’s 1990’s resurgence, and serve as the backdrop of countless films, music videos, shows, commercials, and video games. The city also saw the emergence of its central business district. During this time the Seybold Building, Freedom Tower (Miami News), Ingraham Building, Commonwealth Building (Meyer-Keyser), and the Miami Courthouse were built. 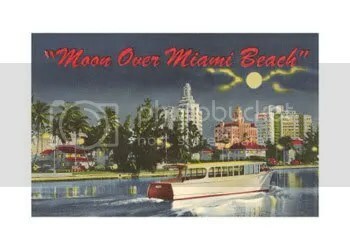 By the end of the Depression, Miami had absorbed its first boom and bust, witnessed the nation’s first planned city, had suburban sprawl, the emergence of a central business district, and a wave of Art Deco construction. Still, Miami’s economy rested on one pillar: tourism. The roaring twenties and thirties brought a tidal wave of concrete and steel to New York and Chicago. The two were competing with each other for height records with their skyscrapers. Both captured the world’s imagination with the awesome scale of their urban landscape. The boom in New York was highly speculative. In 1916, city officials scrambled to put together a revision of the zoning regulations. Sound familiar to Miami 21? Some New Yorkers were outraged by the obstructive height of some of the buildings. Sound familiar to today’s Miami? NYC came up with novel solutions to making the vertical evolution of the city more controllable and ample instead of unpredicted and constrained. Millionaires scrambled to pierce the clouds with their new towers. There were no height restrictions. The sky was the limit. 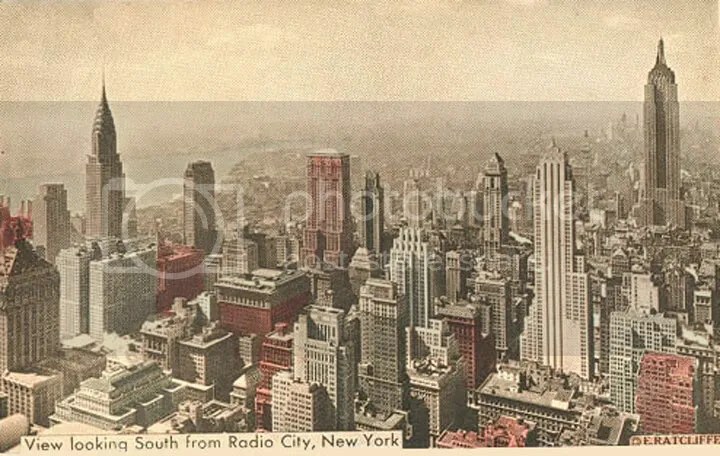 The period included the construction of the Woolworth Building, Chrysler Building, Empire State Building, Rockefeller Center, 120 Wall Street (the Pyramid Building), the New York Life Building, Metropolitan Life Tower, and many other notables. As a testament to the city’s early 20th Century building boom, Chicago has sixteen buildings dating from between 1923 and 1934 that still rise over 450 feet above street level. By 1920, the metropolis had a population in excess of 2 million inhabitants. Compared to Chicago’s population of fewer than 30,000 in 1850, the 1920 census figures demonstrate Chicago’s mind boggling growth. Today, almost 90 years later, Greater Miami has population slightly over 2 million. In the early 19th Century, Chicago was a hotbed of criminal activity during the period. It was one of the most violent cities in America. Competing gangs fought over territory. The police were corrupted by them. At the time, Miami was hoping to lure anyone who wanted to indulge in guiltless pleasure. The city did not enforce alcohol prohibition, allowed gambling, and was privy to its visitors many vices. 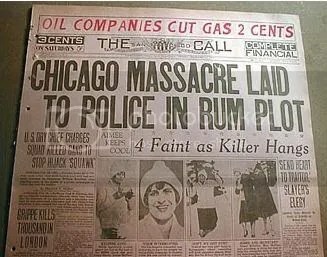 This lured the likes of Chicago Mafioso Al Capone who bought a vacation home along the ocean. While Chicago and New York City became the breeding ground for corporate America, Miami rested its laurels on white sands, warm waters, and sunny weather for tourists. Up until the 1940’s, there was no Gateway to the Americas just a snazzy southern tourist town. NYC and Chi-town on the other hand had seen unprecedented and voluminous vertical expansion, international recognition, and drastic population increases. They had come to represent the U.S.’s growing wealth and international status. Sunny Miami, although increasingly familiar to Americans, remained in the shade. Does Miami fulfill world class criteria? What criteria would Miami have to meet? What source(s) does one rely on for information? All of these are intriguing questions that merit consideration. Wikipedia has an interesting set of criteria for being considered a world class city, although it seems to come from the Globalization and World Cities Study Group. The criteria includes: City population, metropolitan population, percentage of foreign-born residents, expatriate cost of living, metro system ridership, passenger air traffic, number of billionaire residents, and gross metropolitan product. On Wikipedia’s chart of global cities, Miami only appears in one of the criterion columns. It is number one on the “foreign-born” segment. Other U.S. cities included on the list are New York City (appearing in 6 of the 8 columns), Los Angeles (appearing in 4 columns), and Atlanta, Dallas, Houston, Chicago, Washington D.C., and Philadelphia (appearing in 1 column each). There are other factors such as skyline height averages and density. You’ll be pleased to know that Miami’s skyline ranks third in the U.S. behind NYC and Chicago (18th in the world) according to the 2006 Almanac of Architecture and Design. The presence of monuments tend to contribute to a city’s global and cultural status (Miami has none). Seaports are another important factor (Miami’s is the most busy cruise ship port in the world). Not surprisingly, major cultural and learning venues as well as major parks and public spaces (plazas) are factored in to the set of criteria. Thank heavens for the Museum Park plans and the newly completed PAC. Wikipedia goes on to describe different classes of world class cities on a 12 point and letter scale (alpha, beta, gamma). NYC is the only U.S. city ranked Alpha with 12 points. Los Angeles and Chicago, also considered Alpha, have 10 points. San Francisco, considered Beta, ranks fourth with 9 points. The remaining U.S. cities are ranked Gamma: Boston, Houston, Dallas, and Washington D.C. each have 6 points. Atlanta, Minneapolis, and Miami end the U.S. list with 4 points each. Miami lacks in public transportation, public spaces and parks, cultural and learning venues, as well as monuments. The Magic City does have a strong showing with its port, international airport, and foreign-born population. As it stands, America’s southernmost metropolis will increase its standing with Museum Park and the new Cesar Pelli-designed Performing Arts Center. The city’s population is increasing significantly as well. Miami International Airport will increase air traffic and traveler conveniences with a $5.2 billion expansion. Traffic flows are going to be less clogged due to billions in highway and road improvements. The most encouraging sign of Miami’s growing preeminence is its booming skyline. Currently ranked in the world’s top 20 skylines and expected to climb even further up the list. There is no doubt that Miami is on the world class track. In fact, it is evident that the city fulfills the fundamental requirements for being considered world class at the present time. Inexplicably, there are many that doubt this claim. The Banana Republic stigma is not easily shaken off.